I have been friends with Dr. Jarrin and his wife for about 30+ years and joined their practice about 8 years ago. 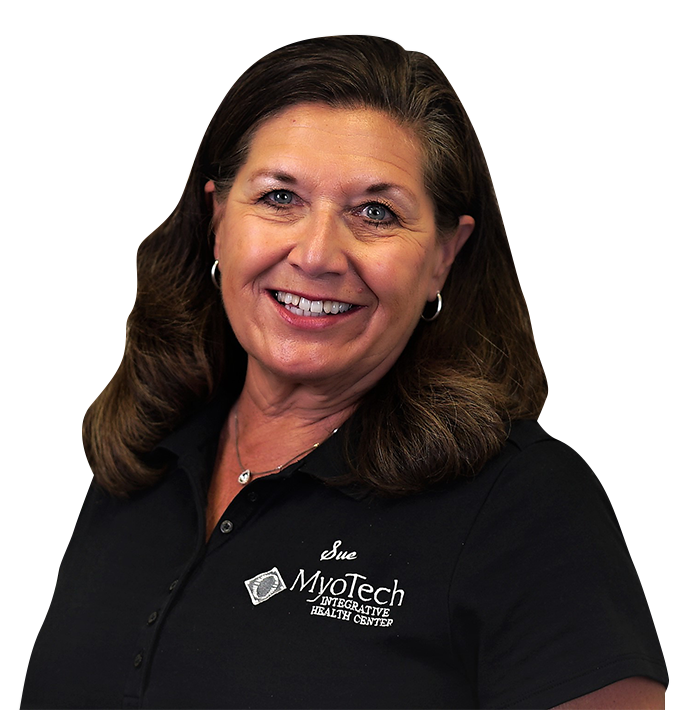 What I enjoy most about working for MyoTech is the dedication, commitment and expertise shown by not only our 3 Dr’s but the entire staff. I currently have 2 dogs. Shadow, a black lab/pit bull mix & Bear is an Australian Sheppard. My husband Bruce & I have been married 40 years and have blessed with 4 wonderful children and 2 beautiful granddaughters. Walking & swimming and when times allows it, reading! Studied at University of Northern Iowa. Born & raised in the Quad Cities.